Russia, especially its capital cities, can be quite expensive for travelers. 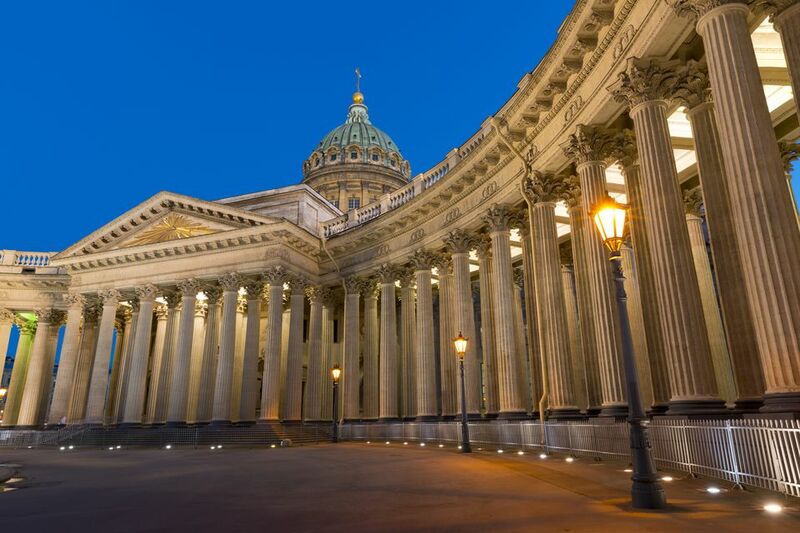 But don’t despair – even if you are traveling to Russia on a budget, you can still find places to stay and things to do that won’t cripple your bank account. Even better, by traveling in this way you will get to see more of the “real” Russia than by staying at a lavish hotel and going to the most expensive restaurants – these activities are usually reserved for tourists or the nouveau-riche. Traveling in Russia on a budget can be challenging, but it is by no means impossible! For most people, there is, unfortunately, no way to get out of the expense of getting a Russian visa; luckily, the cost is not prohibitive. Once that cost is out of the way, however, getting your ticket to Russia is a new problem. Many commercial airlines fly to Russia, but the cost can be outrageous. If you have the time, and especially if you plan to spend some time in other parts of Europe, consider traveling to a more accessible European country and finding your way to Russia from there. Germanwings, for example, operates a direct flight from Berlin to Moscow Vnukovo airport. EasyJet and Ryanair will get you to Tallin or Riga, where you can take a direct train to Russia operated by Russian Railways. If you will be visiting multiple cities in Russia, take the train and make sure to book your train tickets online well in advance. Here is a step-by-step guide to booking tickets directly on the Russian Railways website to eliminate agency fees. Russia has lots of hotels, and some of them are not luxurious, but nearly all of them will run you at least $100 per night. Consider one of these hotel alternatives instead. It’s cheaper and you will also most likely have a kitchen (see below). As a bonus, you will be able to meet some other travelers or locals, who will likely be able to give you, even more, insider budget travel tips! If at all possible, find a place to stay that has a kitchen! Russian locals do not eat out a lot so restaurants are generally quite pricey. On the other hand, grocery shopping in Russia is very cheap! Stock up on some Russian food and have at least breakfast and dinner at home to save some big money. At lunchtime, you can walk into almost any pub, bar or restaurant and get a “business lunch” (бизнес-ланч, this will usually be advertised outside), a very popular concept in Russia. You can get a two or three-course meal for a very low price. As the name suggests, this service is targeted to business people taking a quick lunch break; this means that you will be seated and served very quickly, and likewise, will be expected to leave quickly as well! It’s considered impolite to linger over a business lunch since the restaurant offers the deal to get a high client turnover. On that note, take the metro! It is much cheaper, and - believe it or not - easier than getting a taxi, and also extremely convenient as you will not get stuck in traffic! If you’re traveling on a budget, don’t even think about going to a Western-style “club”. These are reserved for the rich and fancy, with a strict dress code and an exorbitant cover charge. Instead, check out the local pubs and bars, which often have very affordable drinks and, late-night, offer a club-like atmosphere, with dancing and frequent live music shows.